This Trackset features a dual launcher which allows side by side racing action! The upper level of the track performs a two wheel stunt! This Trackset comes with Stunt Racer McQueen car…. 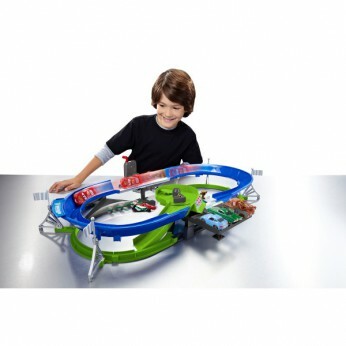 This toy costs approximately £34.99 (for the latest and best prices make sure you check our retailer list for the Cars Stunt Racers Trackset above). In our review of Cars Stunt Racers Trackset we classed it as being suitable for ages 6 years, 7 years, 8 years but recommend you check the manufacturer specific advice before purchasing.